What did I do this weekend? I spent three-days in 105-degree temperatures learning, collaborating, and planning with the greatest EdTech training team on the planet. For most teachers, September is generally a busy month. For NCCE Professional Learning Specialists, fall marks the start of our professional development and training year. 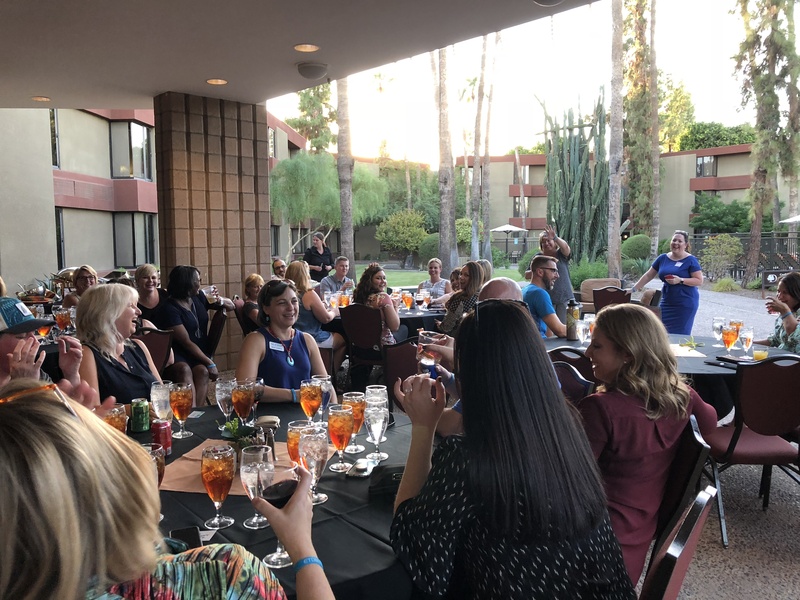 In celebration, NCCE had the pleasure of welcoming EdTech trainers from across the United States to beautiful Phoenix, Arizona for our forth-annual trainer summit. This year’s jammed packed summit included plugged and unplugged learning adventures. There was not a single dull moment, as the team of presenters moved with skill and precision through a catalog of hands-on activities. With focus on new tools and partnerships, NCCE trainers immersed themselves in learning grounded in best-practice and solid pedagogy. As a non-profit organization with a forty-three year history, NCCE has been around for a while. 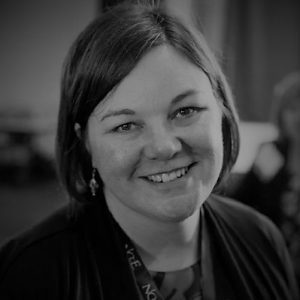 Once known only as a conference provider (we continue to put on the largest yearly EdTech conference in the Pacific Northwest), our organization has grown into a global industry leader in EdTech professional development. As Microsoft’s largest educational training partner, our trainers know the importance of relationship building. Relationships are at the heart of why we partner with product development teams, like the Minecraft EDU. Our classroom experience combined with our PD expertise makes for productive collaboration. We pride ourselves on the ability to provide individualized professional development that stays true to the product while zeroing in on the instructional needs of the schools and districts we work with. As our training partnerships continue to grow, NCCE remains agile and ready to meet the needs of technology innovators large and small. This year’s summit showcased new partnerships with NearPod, Actively Learn, ISTE, Makey Makey, Sam Labs, and Wonder Workshop. 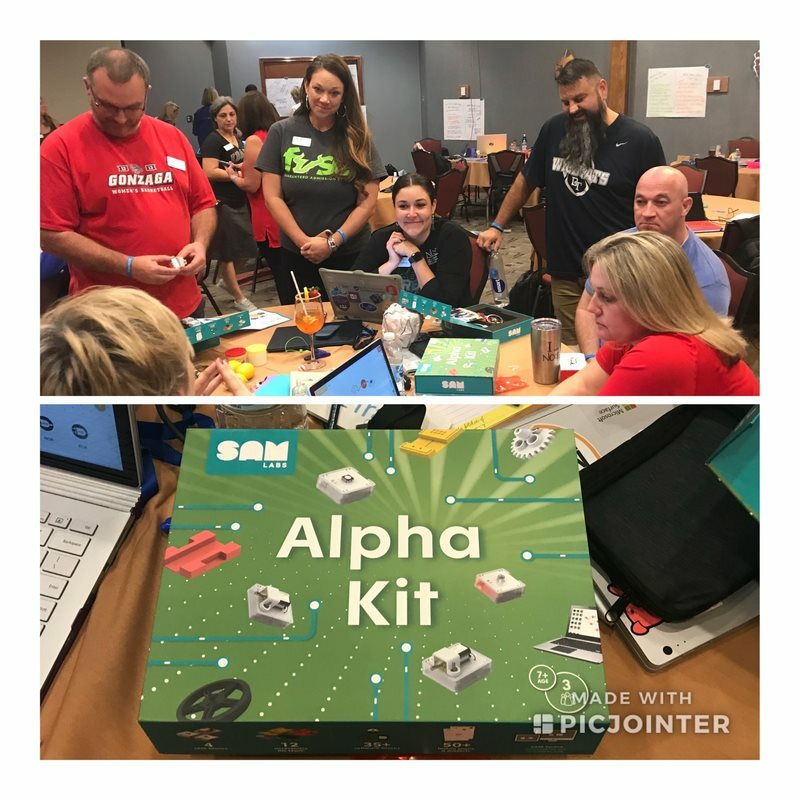 NCCE trainers are thrilled to offer more STEM and Maker training options focused on computational thinking and physical computing this coming year. 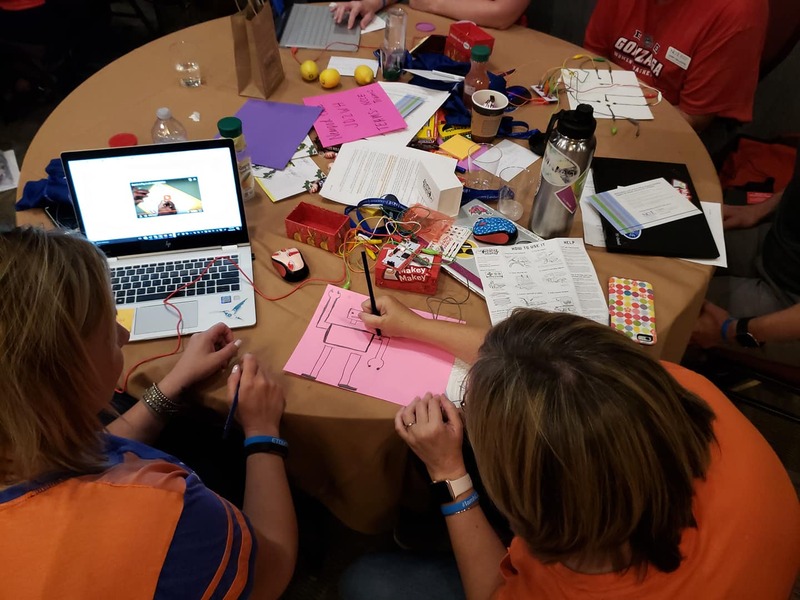 NCCE trainers created video-game controllers using the Makey Makey with everyday supplies like alligator clips, graphite pencils and paper. After a quick tutorial on basic circuitry, teams were challenged to create a remote control to play a classic video game like Donkey Kong, Pac-Man, and Tetris. As trainers faced design challenge head-on, conversations were ripe with empathy for student learners. Dash and Dot were also a hit with trainers. We learned how to program Wonder Workshop’s Dash and Dot using the Blockly App, available for iOS and Android. 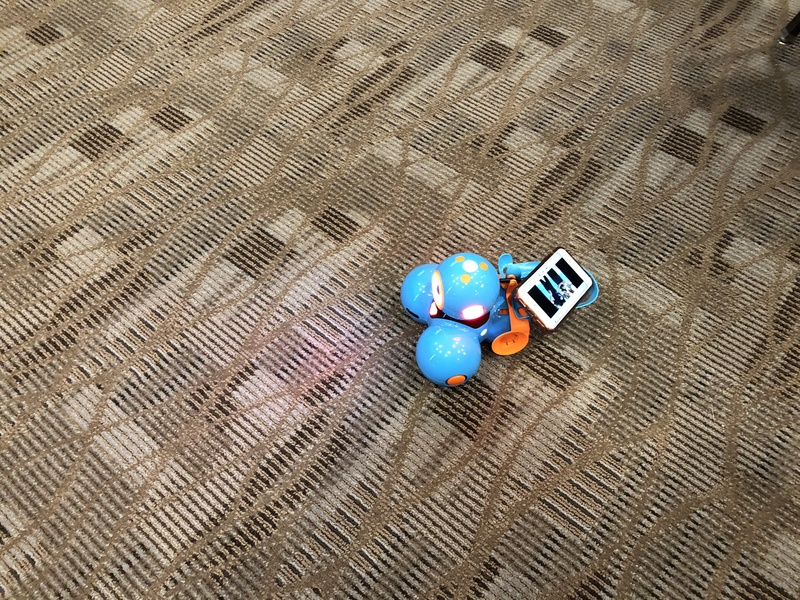 Teacher trainers were making connections with how these cleverbots could teach coding, but also give much-needed support for social emotional learning with younger students. Sam Labs was also on training the menu showcasing Alpha Kits. These easy to use input, sensor, and motor blocks work together and allow students to build functional gadgets, then program their creations with the Sam Labs app. What is also exciting about Sam Labs is the cross-over functionality with other popular toys, like Lego. Who says you need a computer to learn about computational thinking? Not NCCE! Our trainers had the joy of learning decomposition, algorithms, pattern recognition, and abstraction through an unplugged activity. After watching this video clip of Teacher, Barry White, Jr. Handshake, trainers in table-groups used abstraction to create their own meaningful handshake as a team. Next, teams decomposed their handshake and created an algorithm detailing each step in their handshake. Teams recognized patterns and apply loops to their handshake algorithm. The most entertaining part of this activity came at the very end, when each team had to trade handshake algorithms with their neighboring team and perform their handshake. See a few of the results in these short videos! At the end of this weekend of learning, I was recharged and ready to take on another year of training. I appreciate the time spent with friends reflecting on new learning. I am grateful for this amazing, close-knit team and am honored to work alongside them. Thank you NCCE Trainers!